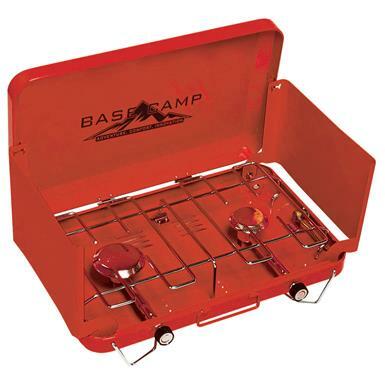 BaseCampTM 2-burner Camp Stove delivers home-cooked goodness, anywhere, any time. This compact, portable Propane Camp Stove proves that "roughing it" doesn't have to include bad meals. It's easy to transport and sets up in minutes. Comes complete with gas regulator for easy connection to a #1 propane cylinder (not included).